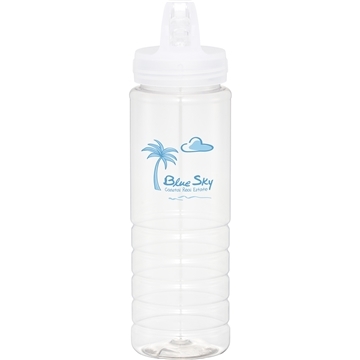 USA-made, BPA-free sports bottle features a twist-on lid with flip-top drinking spout. It is super easy to buy from Anypromo. Everything came out very well and we are still very pleased with our whole order experience. For the cost of the product, the quality was superb. These are used for a 6 month period and are perfect. really nice product. great price. nice artwork for cover. will keep ordering this product. Our customers were very pleased and are asking what we will have next. We want to thank AnyPromo for all your support and help with my order. We were completely happy with the end result and they sold well!